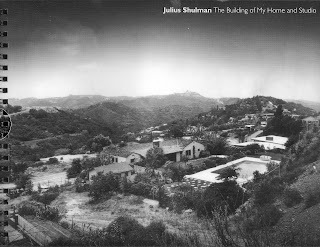 Left: 2008, "Julius Shulman: The Building of My Home and Studio," Nazraeli Press. 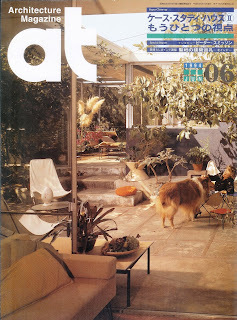 Right: 2008, "Julius Shulman Does His Own House," Nazraeli Press (both from my collection). Julius Shulman's personal residence designed by early client and long-time friend, Raphael Soriano and completed in 1950 was recently listed for sale after the iconographer's death last July at the age of 98. 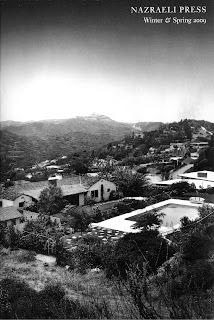 Legend has it that Shulman met Soriano the same day he met Richard Neutra, i.e., March 5, 1936. (See "Raphael Soriano" by Wolfgang Wagener, p. 79). After reviewing Shulman's unsolicited photos of the Kun House and liking what he saw, he sent the fledgling photographer over to the Lipetz House job site where he knew Soriano would be overseeing construction to introduce himself. The bond that developed between Shulman and Soriano over many early assignments in the late 1930s resulted in the eventual commission for this iconic landmark. Soriano hired Shulman to photograph 35 projects from the late 1930s through the 1950s before he moved north to the San Francisco Bay area. 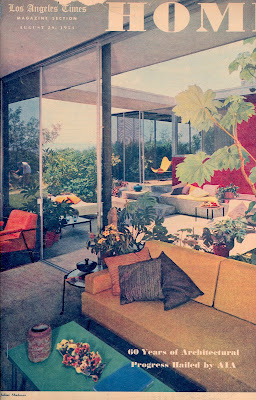 Shulman's Log Book reveals that his house was photographed "officially" at least thirteen times for a variety of clients beginning with Job No. 706, July 25, 1950 with Glide Windows listed as client and more than likely appeared in their period advertising. The cover image on the Wolfgang Wegener's "Raphael Soriano" monograph appears to be from this session. 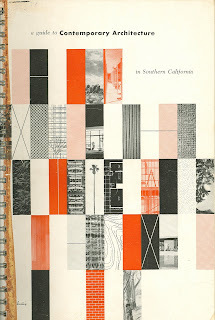 The first record of publication of the house that I have found is in the scarce Alvin Lustig-designed "A Guide to Contemporary Architecture in Southern California" edited by Frank Harris and Weston Bonenberger in which all photos are by Shulman. 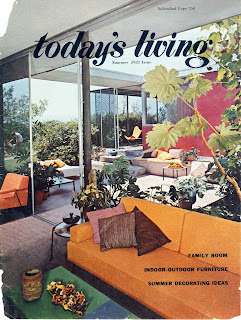 First publication of the Shulman Residence. Click to see Shulman's daughter Judy in the window. (From my collection). 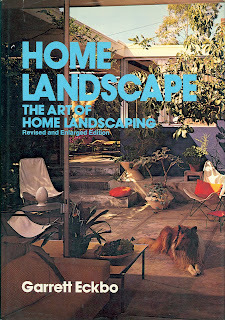 1954, First cover photo of Shulman's residence looking from his studio out to the patio and house. Note Judy petting Johnnie in the garden. (from Shulman's press clipping archives). 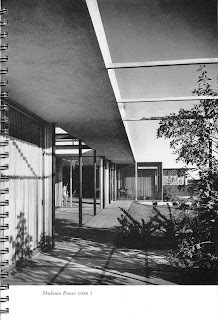 Progressive Architecture, June, 1956, p. 103. (From my collection). (See my related article at Gordon Drake). 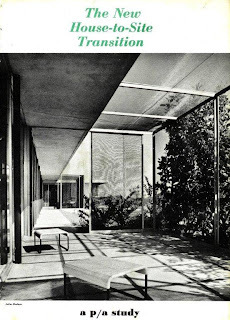 The June 1956 Progressive Architecture theme was “The New House-to-Site Transition” and also featured Shulman photos of the Berns Malibu Beach House on the cover and in an internal 4-page spread “Subtle transitions provide degrees of enclosure” side-by-side with a 5-page article (see above) "Screened patios provide the link" on Shulman’s Raphael Soriano-designed personal residence in Laurel Canyon. 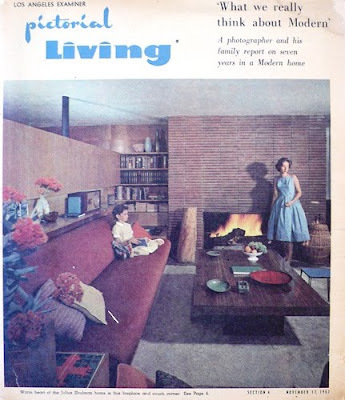 1957, Living room with daughter Judy looking very "Modern" by the fireplace. (image found on the internet). I was very privileged to have spent many memorable days with Shulman while researching a book which collects all the covers his photos have appeared on over his 73-year career. Julius gave me free reign to roam his studio and research and catalog the articles in his boxes of tear sheets and books and magazines stored in his studio closets and bookshelves. I also invested a good year researching at UCLA's Charles Young Research Library, the Getty Research Institute, the USC Architectural Library and my own extensive private collection compiling an annotated bibliography of 800 covers and 8,000 publications his photos have appeared on or in. 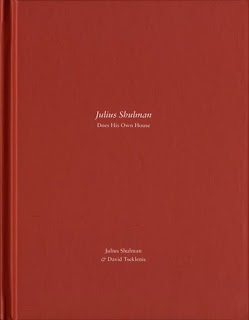 Doing a search for Shulman's own house in my bibliography turned up the ten cover photos herein and over 50 publications which either featured his house or included it with other work. 1957, Summer issue. Same image as above in L.A. Times Home. (from Shulman press clippings archives). 1978, McGraw-Hill, looking from studio towards patio with Johnnie posing just outside the door. (from my collection). 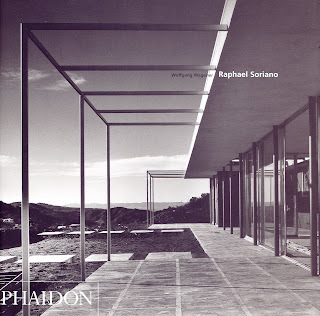 2002, Raphael Soriano by Wolfgang Wegener, Phaidon, South side of house (from my collection). Back cover December 1998 issue of L.A. Architect. 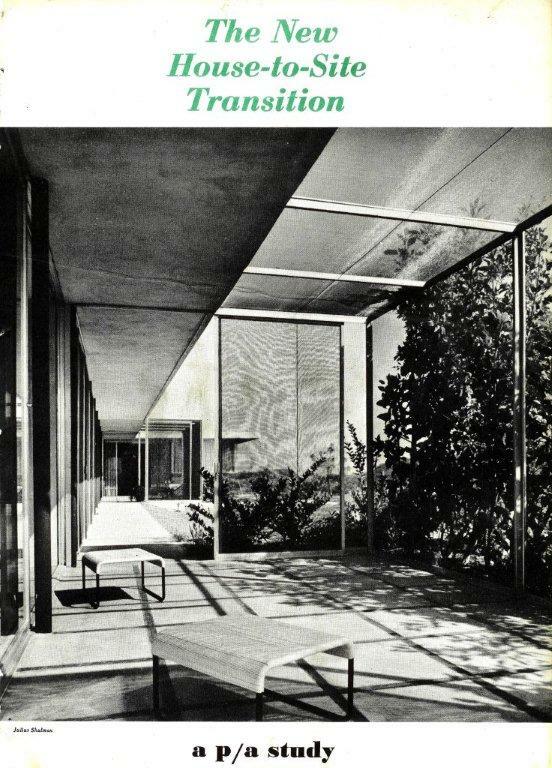 Click to note the March 1954 issue of Arts & Architecture on the desktop. (from my collection). 2009 Nazraeli Press Catalog (from my collection). 1994, June issue of AT (Japan) with wife Emma petting Johnnie. (from my collection). Whoever is fortunate enough to become the owner of this historic home and icon of Los Angeles history will have a huge responsibility to maintain this historical structure for posterity. One can just imagine the steady stream of clients, architects, authors, editors, film makers, reporters, curators, fans, homeowners, and modernism groupies that have paid homage to Shulman on the visitor's side of his archive-laden desk. The new owners will more than likely have to contend with their own steady stream of modernistas making pilgrimages to this shrine of mid-century modernism. Hopefully the house will be open to the public for special occasions from time to time. It is a special place indeed which oozes history from every corner. May Shulman's legacy live forever. 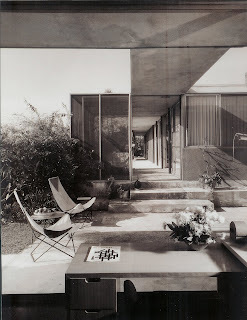 For more on the Shulman House see Julius Shulman Chronicles: March 15, 1952.